Love The Little Ones is celebrating 5 birthdays this coming Sunday, December 6th, at NASCAR Speed Park at 1pm. If you would to join us &/or contribute, let me know! You can donate on the website. We have a birthday party for 3 children Friday May 29th at 5:30pm! 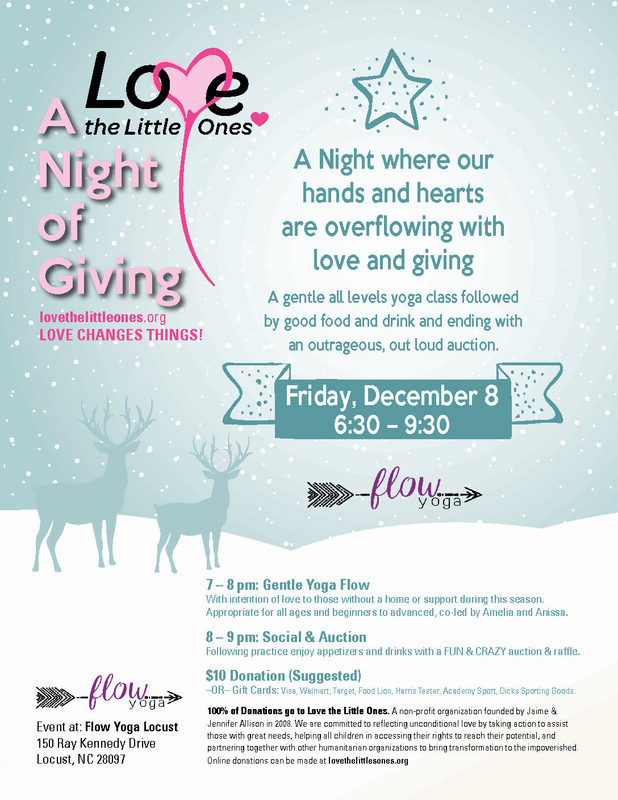 Gotta Yoga – Friday November 21st at 6:30pm To Benefit LTLO!